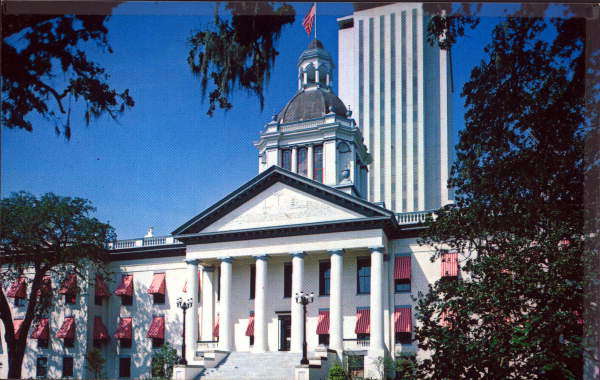 TALLAHASSEE — After rallying and testimony from numerous activists on both sides of the issue, a Senate panel Monday approved a proposal that would require minors to receive parental consent before having abortions. The Senate Health Policy Committee voted 5-4 to support the bill (SB 1774), sponsored by Sen. Kelli Stargel, R-Lakeland. The bill needs approval from two more committees before it could go to the Senate floor. State law currently requires parents to be notified if their daughters are planning to have abortions, but the Senate proposal would go further by requiring parental consent. Stargel and other supporters of the bill say minors should have candid discussions with their parents before deciding to have abortions. But Sen. Lori Berman, D-Lantana, said there is no need for the legislation and that it is an attempt to limit abortion rights. The bill includes exemptions for situations such as minors who have health emergencies or who already have children. A similar measure (HB 1335), sponsored by Rep. Erin Grall, R-Vero Beach, is scheduled to be heard Tuesday in the House Health & Human Services Committee and could then go to the full House. A parental-consent requirement, if ultimately approved, would likely spark a lawsuit that could wind up before a revamped Florida Supreme Court, which in 1989 struck down a parental-consent law. People on both sides of the issue say a parental-consent law could be a test case for the Supreme Court, which was overhauled in January when new Republican Gov. Ron DeSantis appointed three justices, each more conservative than the justices they replaced. “There are concerns, because we wouldn’t want this to get to the court and then have some activist judges turn this into an opportunity to really reverse things in our Constitution and significantly and disproportionately affect women,” said Laura Hernandez of Floridians for Reproductive Freedom. But like Stargel, John Stemberger, president of the Florida Family Policy Council, said parents need to be involved in minors’ abortion decisions. “Abortion is an irreversible, significant medical procedure that is fraught with medical, psychological and emotional consequences,” Stemberger said. 7 Responses to "Abortion Parental Consent Backed in Senate"
ANY Parent who thinks that their MINOR CHILD shouldn’t have to tell them they are getting an Abortion are SICK, TWISTED and a POOR PARENT. Their kid is already preggo….I think the good parent ship has sailed by this point. I understand the issue, though…they need consent for anything else, but at the end of the day, the fetus in the womb belongs to that minor child…or do you think the fetus belongs to the child’s parent? When does “parenthood” begin and end? Doesn’t the law automatically emancipate “parents”? Slippery slope because I am pro-choice. I’m aware most on this site are not, but let’s live in reality for a moment. Pro-life is not the law of the land currently, so this question needs to be sorted out. If y’all can manage to outlaw abortion all together, we’ll be sorting out how to punish the back alley abortionists who saved the mom’s life by ending the pregnancy. Pregnant or not, If the Girl purposely damaged some ones Car, who do they go after for Payment? The Parent. Whichever side you are on, an abortion is a SURGICAL PROCEDURE. A minor receiving ANY medical care has to have parental consent. Trying to waive abortion is just crazy. There’s a serious societal issue when a teen can’t see a movie about abortions without their parents but can have an actual abortion without their parents. What a great point. Best comment ever. Funny how a Minor CHILD can get an Abortion with OUT her Parents knowing about it BUT, she can’t get a Tattoo.